Idea #2 I had for maintaining some interesting non-maternity posts around here in the remaining months of my pregnancy is to have some of my cute professional friends do a guest week of posts about what they wear to their particular jobs in a variety of different industries. (Idea #1 was a ‘body double’ to play dress up in my closet.) 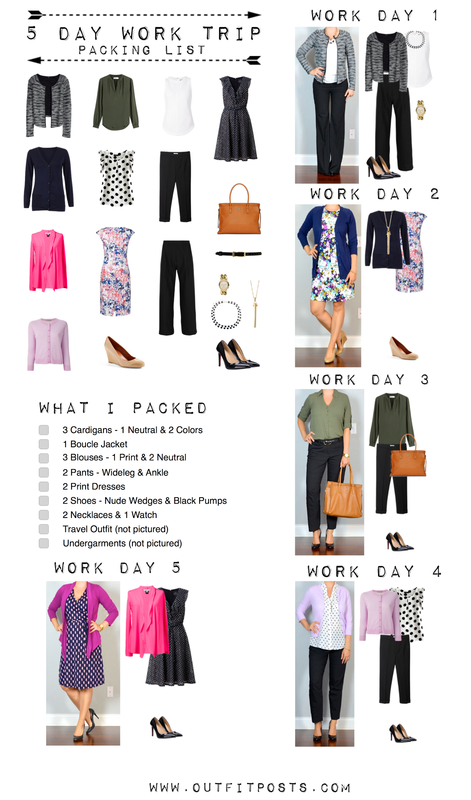 There are so many different versions business casual in the workplace today which can vary dramatically by your specific work/office/area that I think it’s really fun to see how other people dress for their day-to-day jobs. This week my little sister (who has done various guest post weeks) volunteered to guest post. She is a Demand Analyst for a big mid-west company. Her job is to study of sales generated by a good or service to determine the reasons for its success or failure, and how its sales performance can be improved. She lives in the city and walks to work. A large portion of her time is spent in a cubicle crunching numbers and working with her team. She also meets with higher ups in her company and occasionally gives presentations to client. 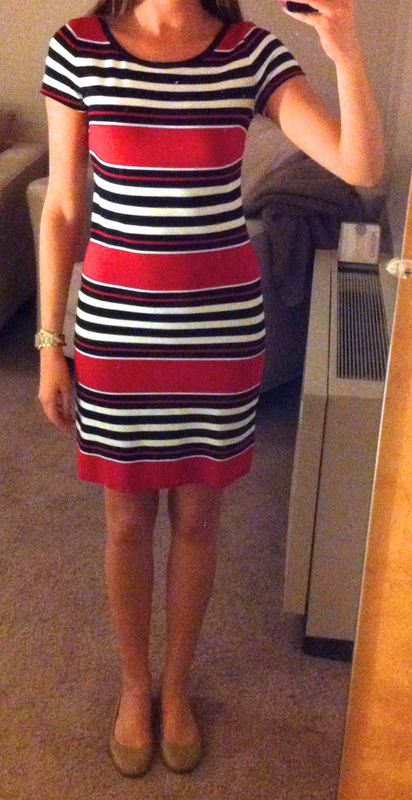 A fun dress is an easy way to look put together and be comfortable for a day at the office. 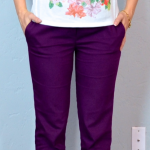 With no client meetings or presentations to my boss – I can wear a more casual dress. And ballet flats make the walking commute possible on my feet. Cute dress! For reference – how tall are you? Thanks! My 'little' sis is 5'9″ tall.